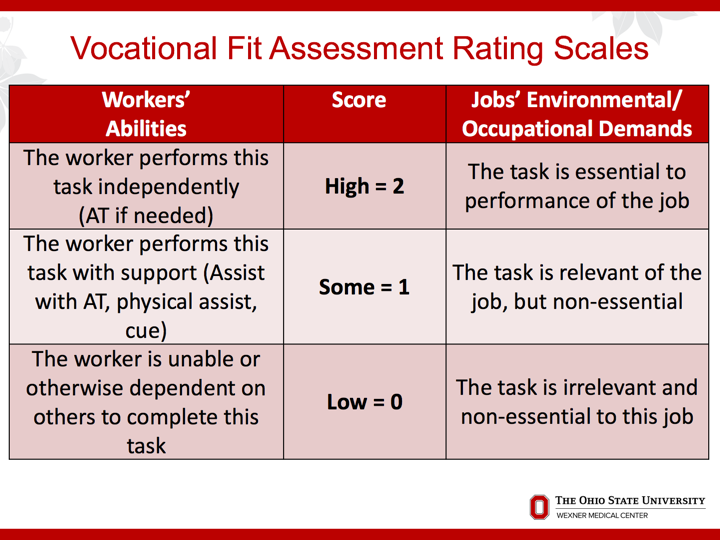 How does VocFit enhance Customized Employment? Novel decision support system identifies the pros and cons of each potential job match. Persch, A. C., Cleary, D. S., Rutkowski, S., Malone, H. C., Darragh, A. R., & Case-Smith, J. D. (2015a). Current practices in job matching for individuals with intellectual and developmental disabilities. Journal of Vocational Rehabilitation, 43(3), 259-273.